Spring is here, and you may be thinking about making some fixes to your home as the weather begins to clear up. Luckily, there are plenty of things you can do in order to make sure your home is ready for the warmer months. While you can do just about anything within your budget there are many green, energy-efficient home improvements you can undertake to help you save money in the long term. When working on the inside of your house, you may not see anything that will obviously improve the efficiency of your home, but there are plenty of options. Replace any old windows. These have a tendency to leak air year-round. Adding windows that are brand new will prevent airflow. This will save you money, and keep your home at a good temperature. Insulate your water pipes. This may seem like a no-brainer, but it is not done nearly enough. This will help keep your water at a good temperature throughout the year, and you won’t have to use as much hot water. 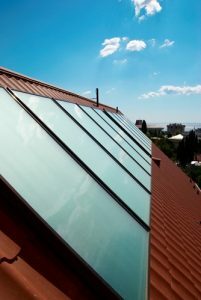 Looking to the outside may also generate some great green home improvement ideas. There may be much to do around the exterior of your home that could make it more energy efficient. Switch to solar power. Many people are getting involved in solar power switchovers, and many power companies are helping incentivize these installations to make it more affordable and attractive. Add weather stripping to doors and windows. This will help further seal areas from having air move into and out of the home. It also will help prevent damage to vulnerable areas, which could age the door and window frames further. These are only some of the many options you can take care of in order to ensure your home is greener. While these projects are great ideas for your home, the costs can add up. Remember, being smart about your home projects will mean you can improve your home, without compromising your good financial standing.